So, let’s begin this beautiful, beautiful day whether you are in the middle of a blizzard, or sitting in the sunshine, or feel like you’ve hunkered down in your etheric cave, let’s begin by breathing gold. And it is that beautiful, molten, Florentine gold of our beloved Archangel Gabrielle. It’s that deep gold, the gold of your grandmother’s wedding ring, of a church statue, of an old gold watch, almost the color of brass, the color of a harvest moon – of a super moon if you’re lucky. Feel yourself sinking into your heart, letting go of your list of what has to be done or needs to be done on the weekend or any day. Just give yourself permission to be here and breathe. Bring down your shoulders, relax your hips, your knees, your ankles, your feet, unlock your jaw and breathe that warm, rich, comforting, golden joy. And feel your tri-flame blossoming with the gold, the Divine Masculine, and the pink of your beautiful Divine Self, and the precious Blue Diamond of our Divine Mother. Your tri-flame is ever-present…it’s the core of who you are…so feel those flames burning brightly, not out of control but brightly and evenly and warming your heart. And then feel these shards, these snowflakes, these golden rays, these filaments…open your crown and let the gold flood you; the gold of joy, the gold of Archangel Gabrielle. Breathe and relax and let go. Greetings, I am Gabrielle, Lily of Love, Trumpet of Truth, Messenger of One. Welcome my beloved angels, sweet song of light, sound of freedom, song of victory. Welcome. Yes, I am Central Administrator and have been for a long time, but I am also known as the Archangel of Communication and in that I am also known as the Announcer. I come this day to speak and to give you comfort and joy; it is not merely a refrain, it is not merely a slogan or a season’s greeting. I bring you this day the comfort and joy, not only of my being but of the Mother, the Father, the One, of the entire realm of heaven, of the ascended masters, of the smallest cherub to the largest seraphim. I bring you the greeting of comfort and joy from your star family and I remind you that comfort and joy is your birthright. So, let us begin. It is hard to find a strand, a thread, that I would attach to and begin as the Mother’s Plan, as the Plan of One is infinite and eternal, ever expanding, ever changing. But the core of that plan is also constant and the constant nature of that plan is love. 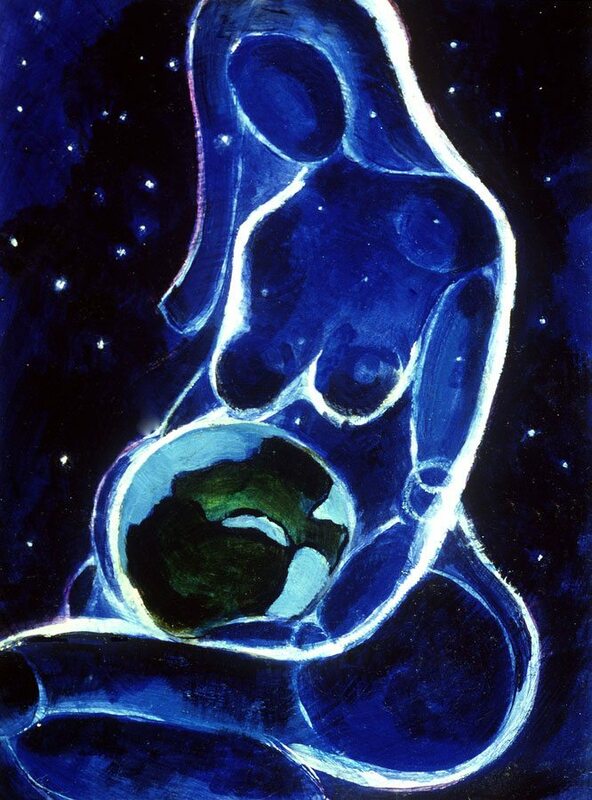 When the plan came forth that the Mother would incarnate, assume an aspect, and return to Earth as Mare’ and give birth to her son, it was a frightening concept in some ways; think of it…to be incarnated, yes, in basically a matriarchal society, but never the less with great patrilineal or patriarchal tendencies…let us put it that way. And to be in human form, yes, with wisdom and knowledge, but never the less, in human form. So, the Mother devised a plan that when the time was right and all was in place I would come to Her and allow Her to know that She would give birth. But the plan was that the sound, the vibratory rate, the energy, the transmission that I would bring as Her archangel would bring Her comfort and joy and the deepest recognition, the knowing, the support, of freedom and of Her role, in human form, of this unfoldment. And so it was, for I have always, always stayed very close to the Mother. That is my privilege and gift that She honors me with. And so, I was chosen for this visitation to remind Her and to let Her know, in human form, that we were all with Her, and while She would bear the fruit, that it was the unified endeavor above and below. The reason I bring this forth, yes as the channel has said, this is the time of completion, but it is also a time of birth and rebirth. And in that time when Mare’ walked the planet as young Hebrew girl, it was a time of the completion, the ending of an era and the beginning of a new era ~ not an era that was marked by delineations and fights and feuds of religion, it is the beginning of an era where humanity was reminded of love and that nothing else was more important than to experience, express, live and be the love. That was the walk of Mare’, of Yeshua, of Joseph, and of many. That has never varied or changed. So, this day I am privileged and honored and gifted to come to speak to you, my brothers and sisters, not blowing my trumpet and the clarion call but quietly heart to heart, one to one, soul to soul, angel to angel, to tell you that you are also coming into the time of bearing fruit, of creating Nova Earth and Nova Being. A time of abundance, of remembering, of being the embodiment, yes, of comfort and joy, courage and kindness and all the other Blessings and Virtues that we have gifted you and that you, in turn, gift us. This is a very cyclical existence. You have entered into the creative chaos, yes, but also understand it is that cycle of death and rebirth and of exploding upon this beautiful planet, yes, in the diversity of who you are but in the beauty, the wonder and magnitude of your ability to be the fulfillment of the plan. There is nothing random or happenchance about your presence upon this beloved planet at this moment. You have not only chosen, you have been chosen. Yes, you are the chosen people in the truest sense of the word, not as separate, not as isolated, not as distinct…that is why we have expanded your field to include millions because as you embody you do so for many. This is the new beginning. This is the new era. You are in the throes of ascension and I know I am the one that brought Mare’ home, in form, in body. I recognize each of you! You are the precious beings of my heart and I give you the gift of rebirth and I give you the gold standard of joy. You are ready. Go forth and go with my love, always and forever. Farewell. PreviousJesus Sananda ~ Please Come And Walk With Me! Galea & Grener of Ashira of Neptune: When will you be willing to step into the fullness of your role as Citizens of the Galaxies?